In an era where nothing is ever truly secure it is a very bad idea to be asking your customers to provide user ids and passwords over email. And, when provided it is just as bad an idea to be saving them in the database without some sort of encryption. 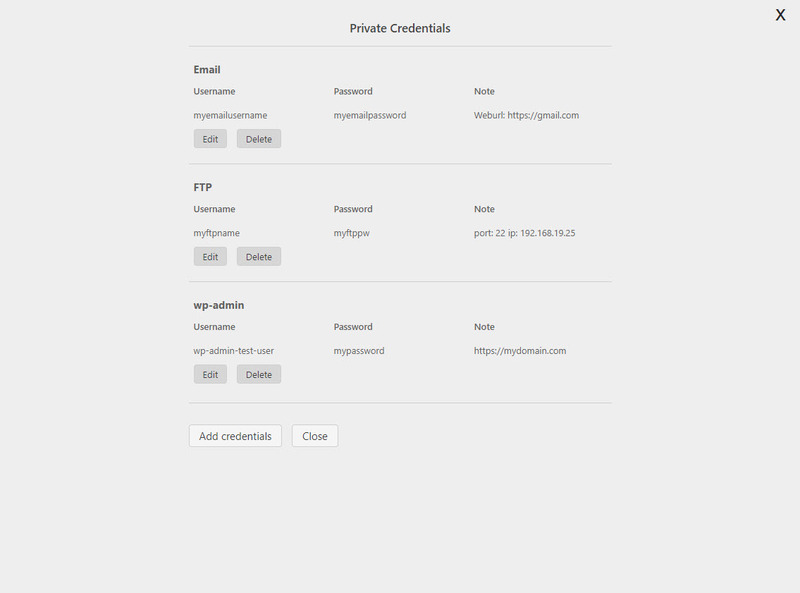 The Private Credentials Add-on allows your customers to enter access credentials to one or more systems and allow them to be stored with an encryption key directly inside the Awesome Support database. While no encryption scheme can be considered completely secure, any encryption is always better than none. Here is an image of what your customers will see when they choose to enter confidential information into a ticket. Later sections of the documentation will walk you through how this screen is used. You should use a very long master key and make sure you don’t forget it. When this option is enabled, the individual ticket keys are further encrypted by this master key. In this way an intruder needs to pull both the data from the database AND the data from the separately located wp-config.php file in order to decrypt the private credential contents. When a ticket is close, all private credentials are automatically removed. This means that you will not be maintaining a treasure-trove of private customer information. This will make your system less of a target to would-be hackers/intruders.